I recently participated in a Junior Achievement (JA) event. JA is an organization that teaches kids skills in work readiness, entrepreneurship and financial literacy. This specific event is called the JA Investor Challenge. The JA Investor Challenge is designed for high school kids to learn about the stock market through an exciting “hands-on” simulation. This gives the kids a chance to experience the excitement, risks and rewards of buying and selling shares of stock. 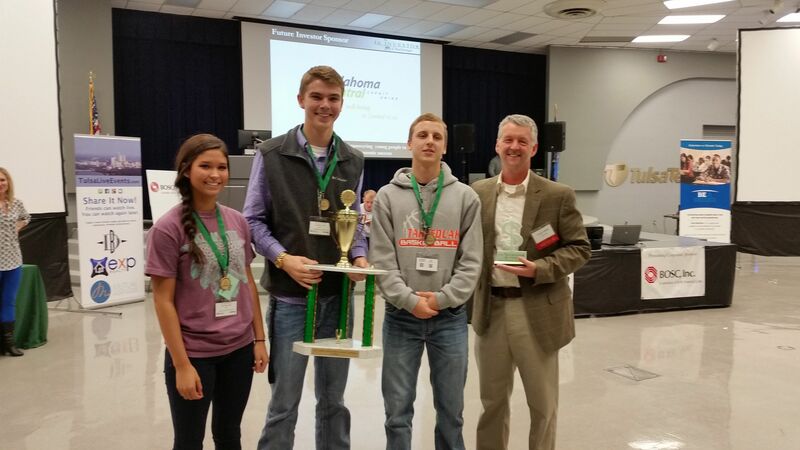 I had the good fortune to mentor a team from Tahlequah high school. They were extremely smart. So smart that they won first place! The simulation represents several days of trading. Each “day” represents about 90 seconds of real time. About 20 different stocks of made-up companies are available to buy and sell. As the simulation runs, data is given on each stock’s trend and movement in price. From time to time, the simulation is stopped for breaking economic and political news. The idea is to figure out how this news will affect stock prices. About 200 kids participated in the event. It was great fun while also helping them learn something about saving and investing. I encourage you to find some time to support Junior Achievement.